Throughout history leaders have: inspired followers to work hard, motivated followers to succeed at a common task, guided followers toward a common goal and challenged followers to be the best at what they do as a part of a larger team. Leaders use their strengths to accomplish all of these things including their: charisma, values, intellect, and vision. Business leaders are no different in that they use their strengths to mold their leadership style. Read further to see what style of leadership you posses and how the style can impact your workforce. There are no good or bad leadership styles and ideally most leaders have a combination of several styles unique to who they are as a person . Most leaders, therefore will use a mixture of styles at their disposal to engage and motivate a team depending upon the project or ultimate goal. 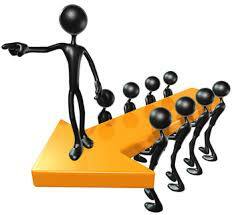 A good leader has many methods to bring out the best in his/her employees and find their strengths. Let’s examine some leadership styles and see where you fit in. . .
Pace-setting leaders – Pace-setters, like Amazon founder Jeff Bezos, set high performance standards for themselves and the group. They demand highly skilled and self-motivated workers. While this style has many benefits such as speed and good overall results for a goal, there may be burnout working for this style of leader. The Laissez-Faire leaders – This style of leader knows exactly what is going on in the workplace but does not micromanage or get directly involved unless absolutely needed. This leader monitors and watches that goals are set and met by giving feedback. This style may be advantageous if there are multiple locations for a company or when employees are skilled, experienced and enjoy the freedom to be productive on their own. This style may leave employees who desire direction and a little hand holding feeling ignored. The Coaching Leader – The coaching style is summed up as asking employees to “try something new” in order to bring out their strengths. The feeling that “we are all in this together, so lets learn together” is also a good way to think about this style and may be advantageous when the entire team needs to learn a new technique or technology. This technique may not work with employees who are resistant to change or learn new skills. The Democratic leader – This style of leadership uses the idea that employees will participate and give their all if they feel like they are a part of the process. The democratic style is most effective when the leader needs the team to buy into or have ownership of a decision, plan, or goal. This style is not a good match when time is of the essence or an executive decision is critical.